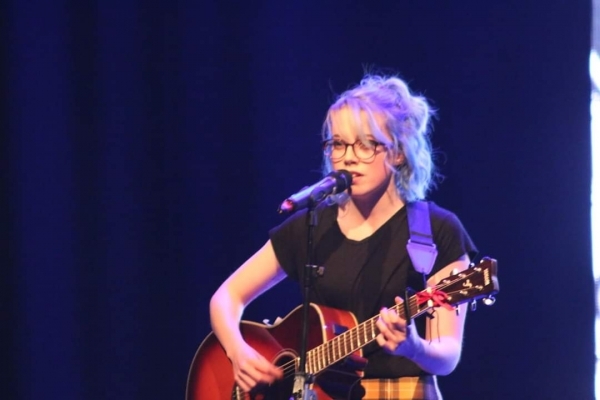 Emily Watt is a young singer-songwriter from Aberdeen. Since starting out by playing a mix of covers and original songs at open mic nights and acoustic evenings, she's recently been asked to play with established local artists such as Craig John Davidson and bliss. Emily is also a former participant on shmu’s Young Artist’s Music Project. She'll be joining host Alan as our studio guest on Monday 10th December from 8-10pm. Missed it? Fear not, the show is also repeated on Friday at Midnight, or you can Listen Again here. After Monday's show, you can also request any of Emily's tracks on any of our other live shows by contacting the studio on 01224 483413, by texting 60300 (type SHMU, leave a space and then your message) or by emailing studio@shmu.org.uk.